Annandale Distillery is proud to announce that its clear malt spirit Rascally Liquor won a Silver Medal at the first ever London Spirits Competition, which took place in London on March 8-9 2018. The judging panel consisted of spirits industry experts with commercial buying responsibility. This ensured that all spirits selected as winners in the competition were the types of spirits that are favoured by both the spirits trade AND the end consumer. The accolade is a seal of approval from the global spirits industry, and those who receive the distinction need to score highly in three categories: Quality, Value and Packaging. They were then scored on a 100-point scale. Spirits that scored 90+ points were awarded Gold medals, while spirits that scored 76-89 points were awarded Silver medals. The award complements a Red Dot Design Award for Rascally Liquor’s striking packaging design. 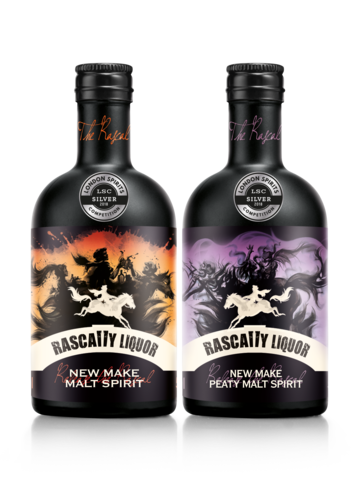 Rascally Liquor is currently available via www.rascallyliquor.com / www.annandaledistillery.com and via the retail store at Annandale Distillery. Established in 1836, Annandale is one of Scotland’s oldest operating distilleries. Located close to the Scotland/England border, it’s also the first (and last) distillery in Scotland. Whilst in the ownership of the famous Johnnie Walker, Annandale Distillery closed in 1918, seemingly forever, but was saved from dereliction by Professor David Thomson and Teresa Church. Operations resumed on November 3rd 2014 and three years later on November 15th 2017, the first bottle of Annandale Single Malt Scotch Whisky was filled. Look out for Man O’Sword and Man O’Words from Spring 2018. This press release was distributed by ResponseSource Press Release Wire on behalf of Annandale Distillery Co. in the following categories: Men's Interest, Food & Drink, Business & Finance, for more information visit https://pressreleasewire.responsesource.com/about.